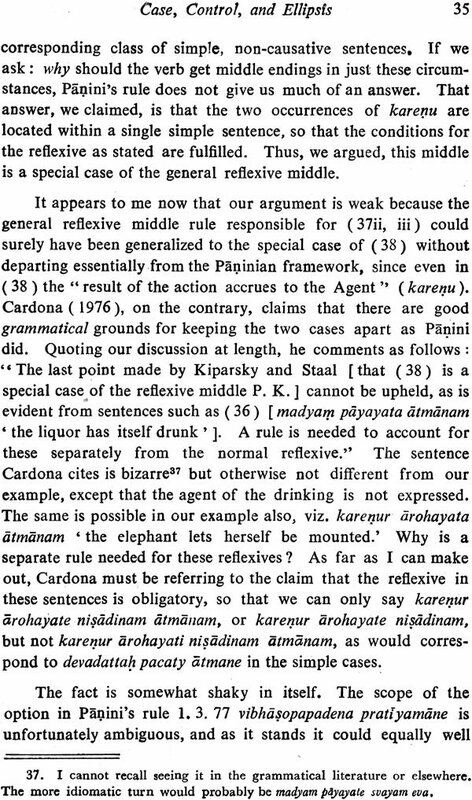 Professor Paul Kiparsky delivered the Second Series of Professor K. V. Abhyankar Memorial Lectures” on July 9—11, 1981, at the Kher Vangmaya Bhavan of the University of Poona. These lectures were arranged in conjunction with the International Seminar on Panini organized by the Centre of Advanced Study in Sanskrit. 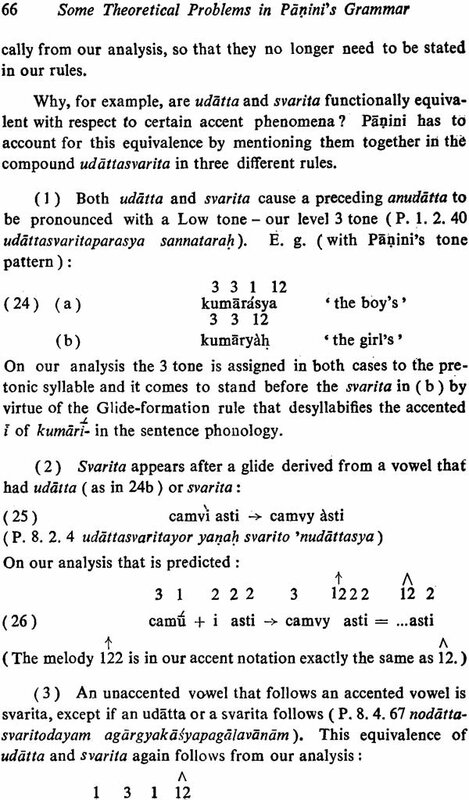 Professor Kiparsky works in the Massachusetts Institute of Technology, Cambridge, U. S. A., and has to his credit a large number of publications on Sanskrit Grammar and Linguistics which amply testify to his keen perception of the various problems relating to the Paninian and allied studies and to his impressively original and — may I add? — provocative treatment of those problems. 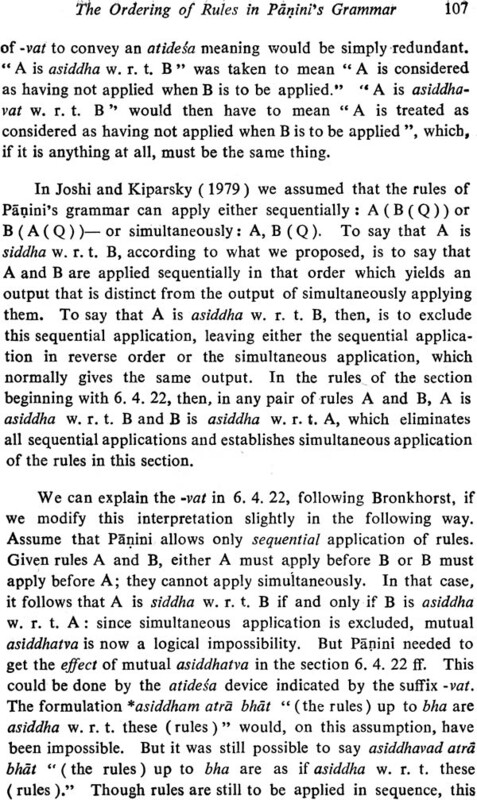 Professor Kiparsky’s interest in Panini began around 1966 when, while doing some work on rule-ordering, he discovered that the Sanskrit tradition had surprisingly much to contribute to the study of that topic. 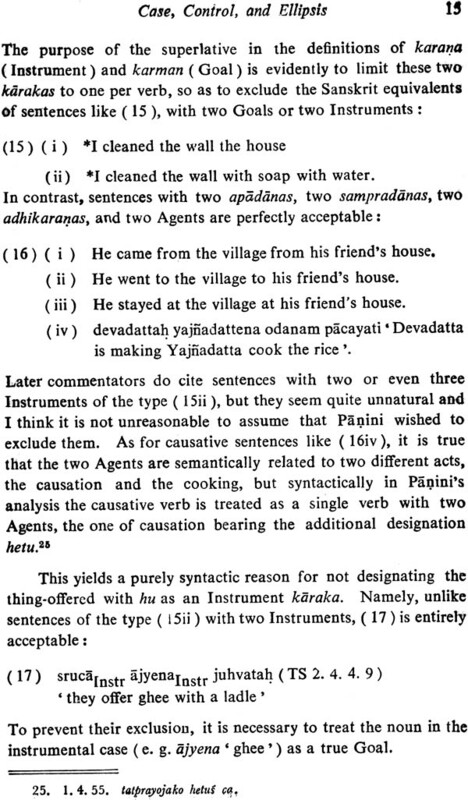 Later he had opportunities of spending several months, at different times, in Poona where he devoted himself to a deeper study of the fundamentals of the Paninian grammar. It was during these visits that there developed a collaboration between him and Professor S. D. Joshi of the C. A. S. S. — a collaboration which has proved extraordinarily fruitful. 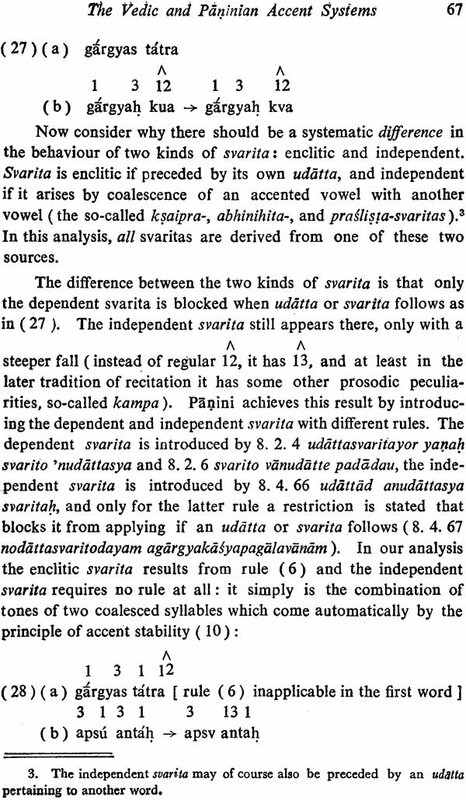 In 1976—77, Professor Kiparsky came to India as a Visiting Professor at the C. A. S. S. and, during his tenure, worked out his theory of Panini as a variationist, that is, of Panini having used the terms, va, vibhasa, and anyatarasyam, to indicate different preferences of option (Panini as a Variation is by Paul Kiparsky; edited by S. D. Joshi; University of Poona, 1979; xiii + 304). Incidentally, the work by Kiparsky and Joshi on siddha and asiddha in Pannian phonology is published in Current Approaches in Phonological Theory (Indiana University Press, 1979). I am thankful to Professor Kiparsky for having made the final revised typescript of his lectures available to the Institute not very long after the lectures had been actually delivered and having thereby facilitated their speedy publication. 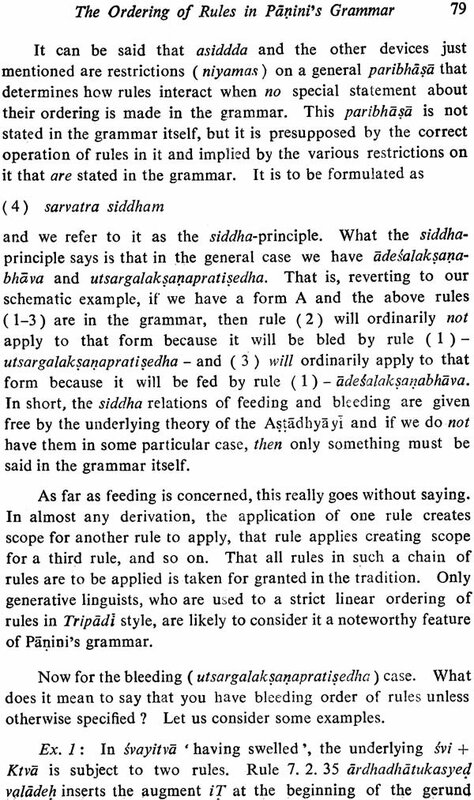 A special word of thanks is due to Professor S.D. 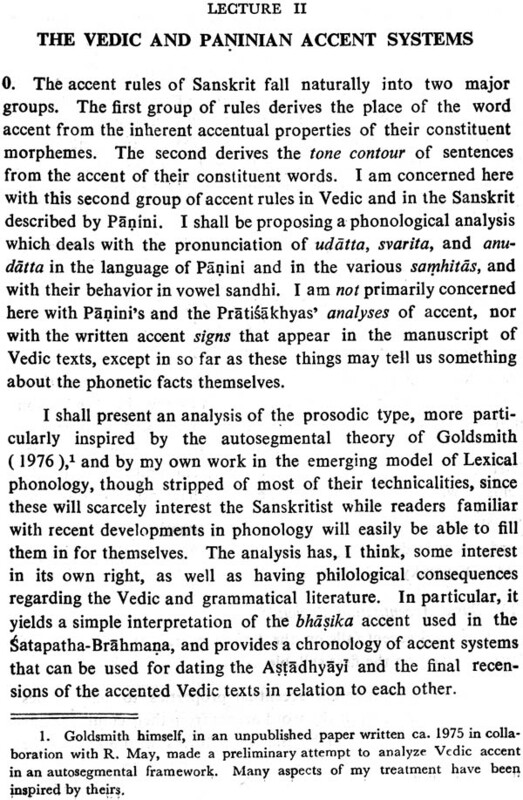 Joshi, Director, C.A.S.S., for his considerable help in the matter of arranging Professor Kiparsky’s lectures and later editing the script of those lectures for the press.